It may have its roots in fighting and working, but the American Bulldog is a big old softie at heart. Now, you’ll find him as a much-loved companion in many households in North American and around the world. He’ll keep a watchful eye over the family and work his tail off all day, but he’s just as content to curl up at your feet on the couch. The American Bulldog, also known as the Old Country Bulldog, the Old Country White, the Old Time Bulldog, the Old English White, the English White, the White English, the Alabama and the Southern Bulldog, is known for its superb strength and fine character. 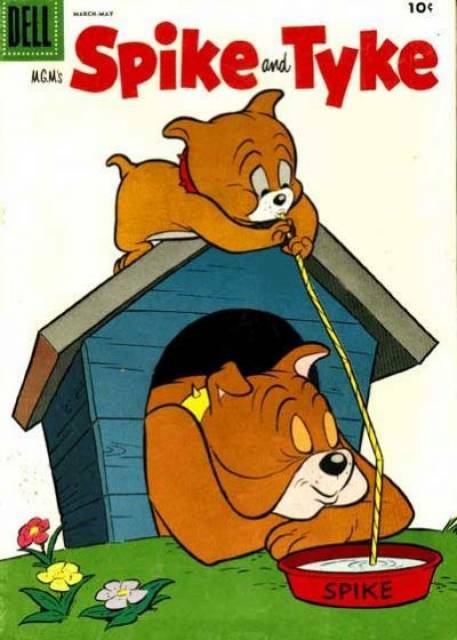 It does not closely resemble the more familiar English Bulldog and is not yet recognized by the American Kennel Club. This breed is similar to the old, seventeenth-century bull-baiting dogs used to fight bulls for entertainment and supposedly to tenderize the meat for human consumption in Great Britain. 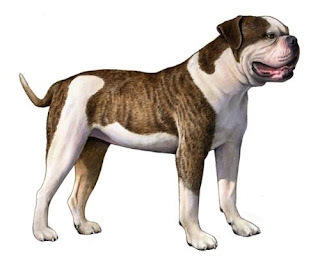 The predecessors of this breed came to America in early colonial times, before the English Bulldog went through its transformations to become what that breed is today. This is a friendly, versatile dog that can do almost anything well. It is cherished as a hunting dog of large and small game, a guard dog, a guide dog and a beloved family companion. American Bulldogs form strong bonds with their people but if not properly socialized can be aggressive towards strangers and other animals. 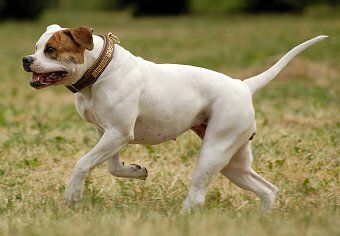 The American Bulldog is on average between 20 and 28 inches at the withers, with the females being on the smaller side of the range. They weigh between 60 and 125 pounds, again with females being lighter. Their short, shiny coat is low-maintenance. As these are working dogs, there is a wide variation in height and weight more so than in other breeds. American bulldogs are now safe from extinction and are enjoying a healthy increase in popularity, either as a working/protector dog or as a family pet. All over the world, they are used variously as "hog dogs" , as cattle drovers and as working or sport K-9s. American Bulldogs also successfully compete in several dog sports and in conformation dogs shows . With roots in the violent sport of bullbaiting, the American Bulldog was later developed as a farm dog and hunter's assistant, herding and protecting livestock and hunting everything from squirrels to bear. Today, the breed is a sturdy companion for families or farmers, keeping a watchful eye over his people and property. 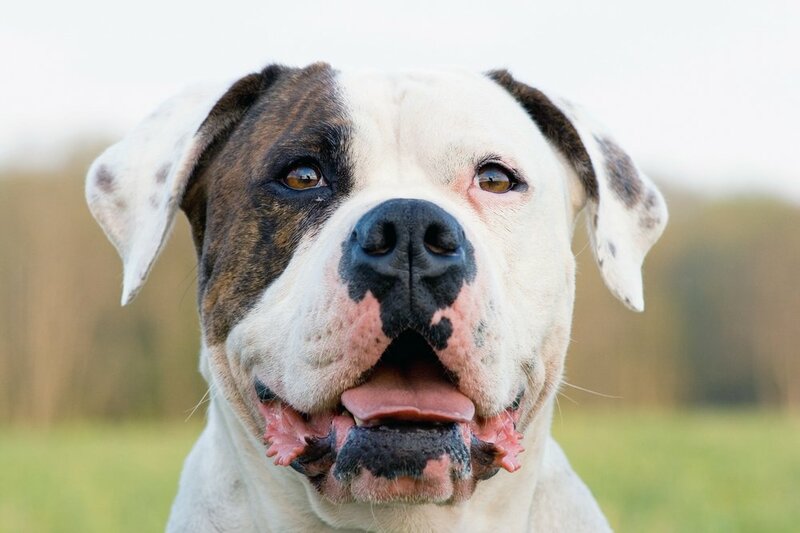 Active and playful, the American Bulldog loves people and craves constant attention, (though he may not be fond of other dogs and should be kept away from cats). He can work or play all day long, and will happily curl up at your feet for a nice belly rub at the end of the day. American Bulldogs are strong willed and can be a challenge to train until leadership is established. Not the best choice for a first-time dog owner, this breed will make his trainer prove who is in charge. Training requires absolute consistency – give an American Bulldog an inch and you'll find he's taken about six miles. A calm-assertive approach is best, with lots of positive reinforcement and treats for extra incentive. Once the initial hurdles are crossed, however, American Bulldogs can excel in advanced obedience and agility training. 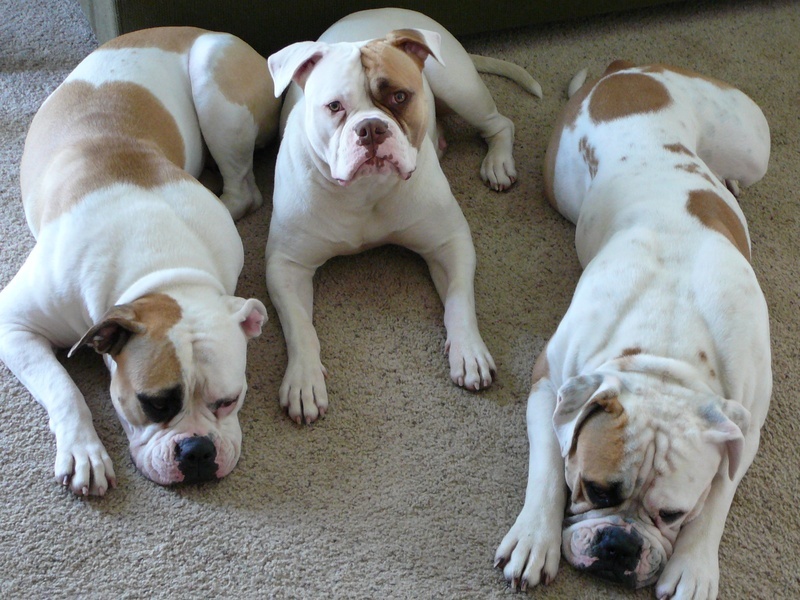 If you have an active family, the American Bulldog will fit right in. Expect to give you dog about an hour or two of outside exercise per day. If you don’t deliver these exercise requirements, the American Bulldog will take it out on your home. Activities can include walking, jogging, chasing balls, agility, farm work, and advanced obedience training. Unless you can fulfill the outdoor activity requirements, apartments and condo dwellers should stay away from this breed. Houses with fenced-in yards or farms/rural areas are best suited for the American Bulldog. 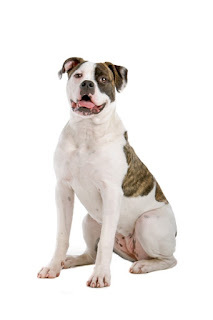 His amiable temperament and bulk make the American Bulldog an excellent companion for children, even young ones. A American Bulldog will put up with a lot from a child, although he shouldn't have to, and he'll walk away if he gets tired of being tormented. 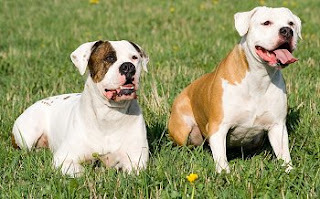 With their pacific nature, American Bulldogs also get along well with other pets, dogs and cats. They may be less sociable toward strange dogs, however. Since the 1990s, American Bulldogs have become more frequently used in films as family pets, replacing the previously popular Pit Bulls and Bull Terriers.